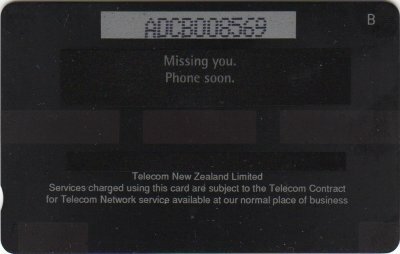 The card was available as a Greeting Card, illustrated below, with the Phonecard inserted. 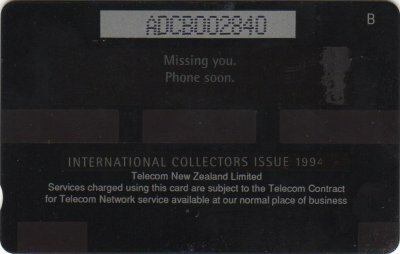 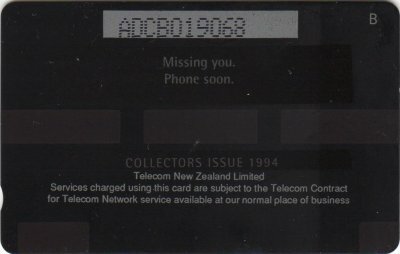 This card was also included in the Collector Pack AdCards Volume Seven NZ-CP-32 and was overprinted on the reverse with Collectors Issue 1994 or International Collectors Issue 1994, if inserted in the International Pack. 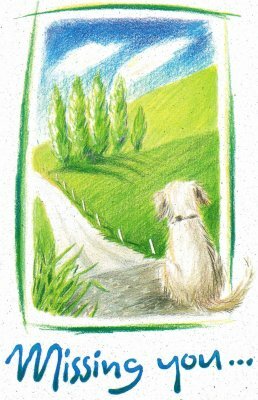 The card was also included in a limited edition of 500 Gift Cards folder presented by Event Masters, illustrated below. 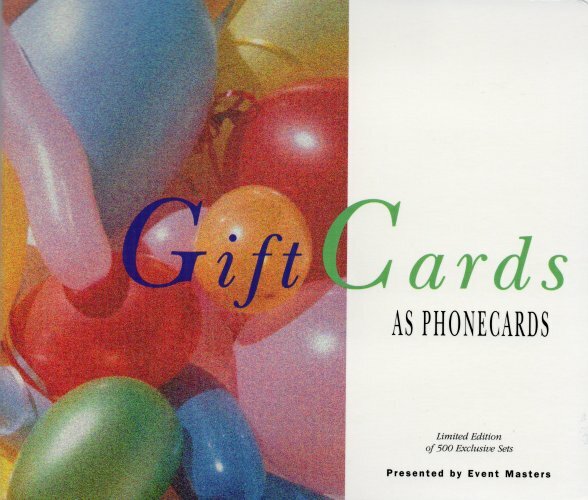 There were other gift cards from the series also in this folder.